The publisher's blurb on Amazon said this book at times was uproariously funny - not! It said that three generations of the Kelleher family come together summer after summer - not. This book is not funny and focused on one summer in the lives of the Kellehers and their acid-tongued matriarch. Oh, but it was so good in so many other ways. The story has successive chapters that focus on one character at a time, revealing what they are thinking and feeling. The chapters where characters are interacting still focus on one charater's thoughts at a time. Sullivan opens her novel with Alice, the acid-tongued borderline alcoholic matriarch of the story. She is packing up most of the things in the family's summer home in Maine in preparation for something big - won't tell you what that is. Can't ruin a good story. The chapters about Alice delve just enough into the past to enchant you with the now deceased husband and their past as a young couple and how they came to be in Maine, building the summer cottage. Alice has three children who are grown and have their own children and grandchildren all with a point of view that delves into their lives and their thoughts and they have grown to be so different from each other that they barely get along. There was also just enough suspense to keep me reading. This novel has a far more literary bent. The characters were so well developed that they felt utterly real to me - not like a group of fictional characters. It had enough substance to leave me thinking about the Kellehers long after I was finished reading this book. 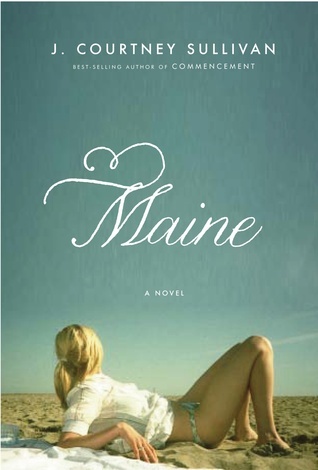 Sign into Goodreads to see if any of your friends have read Maine.